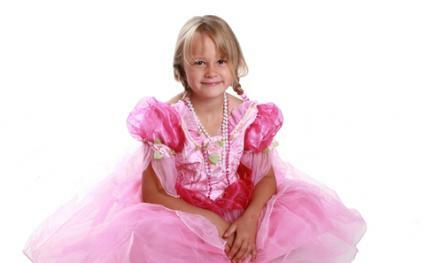 If you have young daughters, you will inevitably be asked for Barbie costumes. The Mattel outfits are girls' picks for everything from pretend play to trick-or-treating. If authenticity is important to you, you will need to make sure that the items you purchase carry the Mattel or the Barbie logo. If you buy at a reputable, well-known brick-and-mortar store, this should not be an issue. The internet, however, is a different story. Much like the Disney princesses, Barbie's extreme popularity makes her a target of counterfeiters. Mattel grants licenses to certain stores, giving them the right to sell the Barbie merchandise. What you see at some stores may be Barbie-inspired or Barbie imitations instead of actual Mattel items. Be especially leery of items being sold at auction sites. Sweet to the core--no blood or gore here!